In an Australian first, Sydney Airport has unveiled an exclusive pop-up in partnership with APGP Retail and hit Mamamia podcast You Beauty at the T2 Domestic terminal. Making its Australian debut, the You Beauty pop-up showcases a curated collection of Australian and New Zealand skincare brands including Trilogy, Lanolips and Sukin – perfectly timed for Christmas travel and gifting. 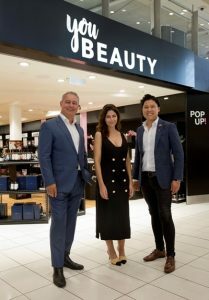 Sydney Airport General Manager Retail Glyn Williams said delivering unique and exclusive concepts like You Beauty for customers to enjoy was a key aspect of the airport’s retail strategy. 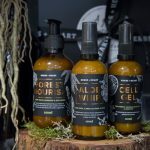 “We’re always looking to the broader market and taking on board customer feedback to deliver a truly exceptional retail experience, so we’re honoured to bring the You Beauty concept to life in another Australian first,” Mr Williams said. Director of APGP Retail, Edward Tanzil, said the idea to partner with the Mamamia network was formed after hearing its inspirational founder, Mia Freedman, speak at a Sydney Airport event.